Love the little wings tied around his neck. 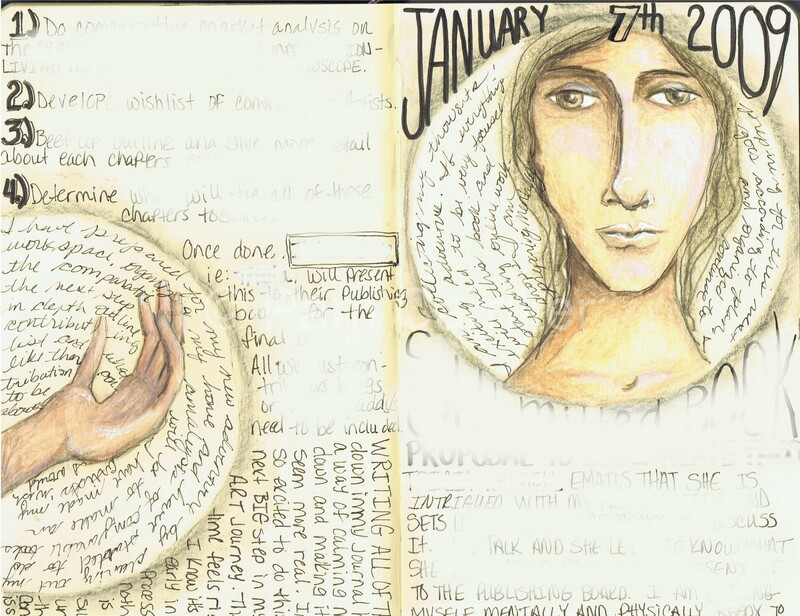 Every day you keep on producing journal pages that are more and more incredible. 🙂 Love the top piece,I think it’s the circle behind the face and hands that really draws one in. Lovely! Wonderful pages! There is something magical about moleskines. The only problem I had with mine is that the pages were sticking together (and that doesn’t happen with the watercolor journal I am using now). Are you maybe preparing to publish a book or is it a product of my imagination? I wonder…. 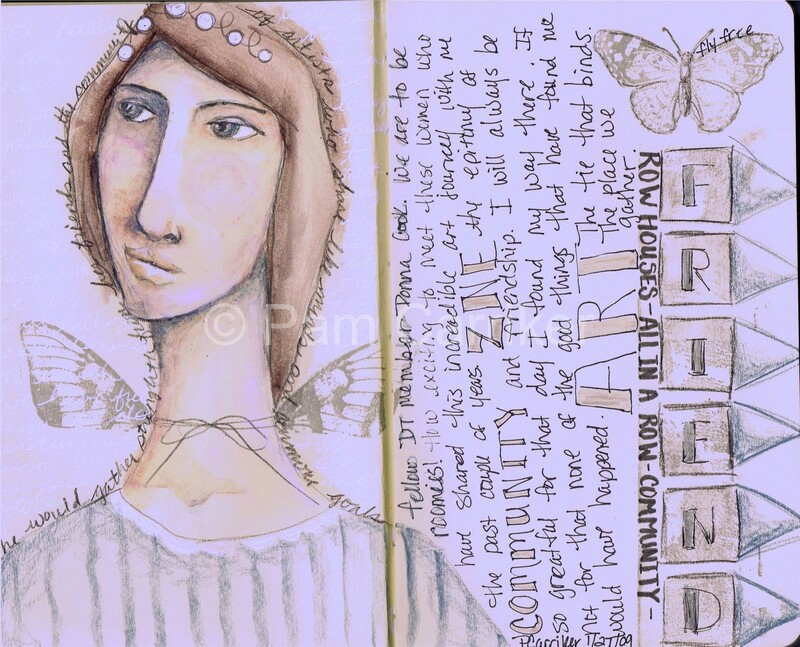 I hav been enjoying your daily journal pages so much. I was wondering about the moleskin. It really looks good. Feeling inspired once again. Maybe I’ll finally get back to my blog and post a bit now 🙂 ! Pam, I can’t tell you how much I’ve enjoyed each and every day of this month in your journal. You have been an inspiration and am so glad I discovered your work.